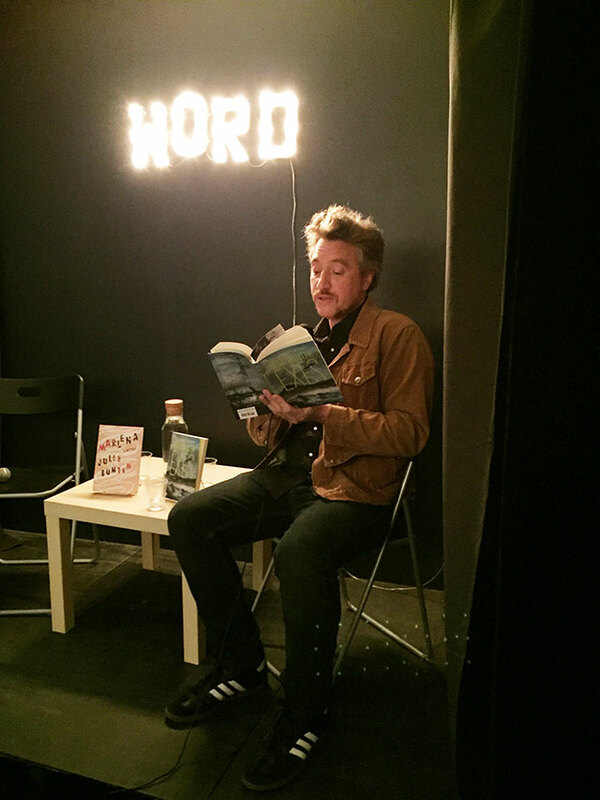 Max Winter was at WORD Bookstore in Brooklyn last week to read and discuss his debut novel, Exes. 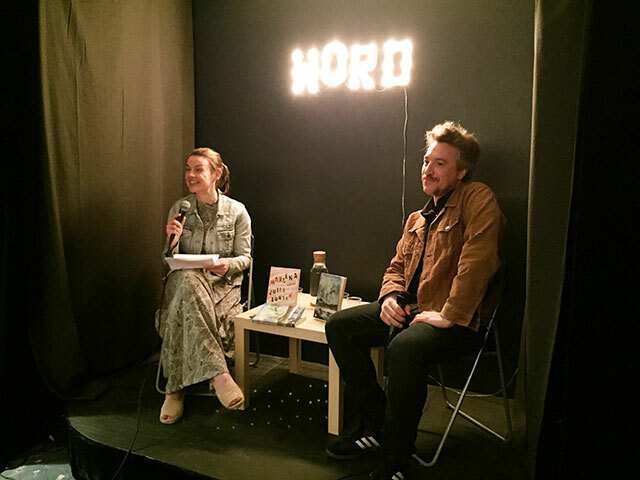 He was joined by his editor from Catapult Books, Julie Buntin, who also recently released her debut novel, Marlena. Exes is also the first book Buntin acquired as an editor. Exes relies on a complicated, interlaced narrative structure. Winter says he understands time as being non-linear and the novel is an attempt to express that. Grief is a major theme through the novel, and as a subject, Winter says he finds it an interesting topic to explore. Its often linked to time and space. He explains that his wife lost someone close to her before she met him, and she was grappling with that loss. He needed to understand how to make something out of that negative space and the result of that was the novel. It was like I learned on the job, Winter explains, and then jokes that it was more like an unpaid internship. Writing the novel constantly felt like he was always just halfway there, and never going to actually make it to the end. Buntin says she acquired the novel after reading it during a holiday break. She jokes that was a rather rude daughter-in-law sneaking off to read the manuscript rather than spending time with her husband’s family, but she didn’t want to put the submission down. As it was her first acquisition, she says she too was learning as she went. Buntin also commends Winter on his ability to reimagine the editorial notes she offered. Winter compares editorial notes to his mother’s knitting projects. She would knit whole sweaters and then, unsatisfied with a particular knot, tear out the whole thing before remaking the article better and stronger. For Winter, he literally remade his manuscript. He retyped the whole thing over at one point — he had problems with a European version of Microsoft Word. “I’m stubborn–it’s my only good quality,” he says. The book is dominated by grief, but also humor, and that combination is often a difficult narrative voice to achieve. Winter says his family is only ever funny at funerals, and he thinks he knows the reason why. At funerals, the worst has already happened. They can relax and then tell funny stories instead of fearing what might happen.